Promotional pet accessories, including collars and leashes. These promotional pet products are great for Vets, Animal Hospitals and Animal Trainers. Promotional Pet Accessories is a department that has really come into its own in recent years. The Pet Accessories market has grown into a billion dollar industry in recent years, so why not jump on the bandwagon and have your logo printed on an item that can be used or worn by your client’s favourite pets. We have a great range of items available such as promotional Pet Leads, custom printed pet jackets and bandanas and branded pet treats. 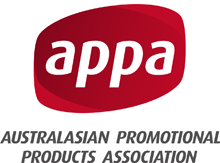 Promotional Pet Accessories and custom pet products are becoming an increasingly popular range of promotional products in the Australian market. While our society has undergone many changes over the past few decades, there is one thing that has stood the test of time, and that is our relationship with our pets. Pets truly are a part of the family with up to 63% of Australian households (according to PetNet) owning a pet. Why not capitalize on this huge and growing market, because whilst getting on the good side of your customers pets, you will also get on the good side of your customers. With approximately 12 million Australians owning or associating with pets in one way or another, the marketing and advertising potential is huge. Custom printed pet products and branded pet products are great for all types of businesses, especially those associated with the pet industry and they can benefit from products such as promotional vet products, promotional dog grooming products, promotional pet grooming products and more. Even businesses not directly linked with this industry can also benefit from custom printed dog accessories and logo printed pet accessories too. One great example of a imprinted pet product is a Custom Printed Dog Collar and these are now available as a 1 print pet collar and a 2 colour print pet collar too. Vivid Promotions has promotional pet collars to suit all breeds of dogs, with our small custom printed dog collars, medium sized printed dog collars and we even have a branded dog collar for large dogs. These custom printed dog collars and promotional pet products also come in an environmentally friendly option that is made from recycled PET bottles. Custom printed Pet Food Dishes are another great way to promote your and we have stainless steel dog bowls that can be laser engraved dog bowls as well as plastic dog food bowls that can be printed dog bowls or pad printed Pet Food Dishes for your next promotion. Promotional Dog bandanas and custom printed doggie bandanas from our Promotional Pet Toys and apparel are also available and are great for fundraising or company merchandise. Our branded Doggie Bandana and logo print bandanas are made from Polycotton and can be branded with your logo over the whole product. Custom branded Promotional Pet Treats and logo printed pet treats are also a great promotional pet accessory or promotional pet related product is you are in the dog training business especially. You will have your customers and their pets eating out of your hands in no time with these promotional pet treats from Vivid Promotions. A full colour printed Reflective Dog Tag is a great way to help you and your dog get noticed when you’re out walking after dark too. The variety of different pet products and printed pet products available from Vivid Promotions Australia is quite extensive, and as with most promotional product categories, if you cannot find the exact type of promotional pet product that you are looking for within our online selection, please contact one of our sales staff today to discuss your requirements.